I’ve been an avid aviation enthusiast since I was a young boy. It’s been not only a lifelong passion, but an area of my professional life that I always remain involved in, as well as my number one hobby. It’s no surprise then that at an early age, I also became interested in PC flight simulation. From the very first 4-color SubLogic Jet and Microsoft Flight Simulator titles, to Lockheed Martin’s new advanced flight training platform Prepar3D 2.0, and just about everything in between, I’ve given almost every one of them at least a few test flights. These days with the limited time I have available, I’ve slowly migrated from Microsoft Flight Simulator X to my current non-combat flightsim of choice, Prepar3D 2.0. Prepar3D is the next evolution of the revered FSX platform, still supported by an enormous community of fans and developers, including myself. 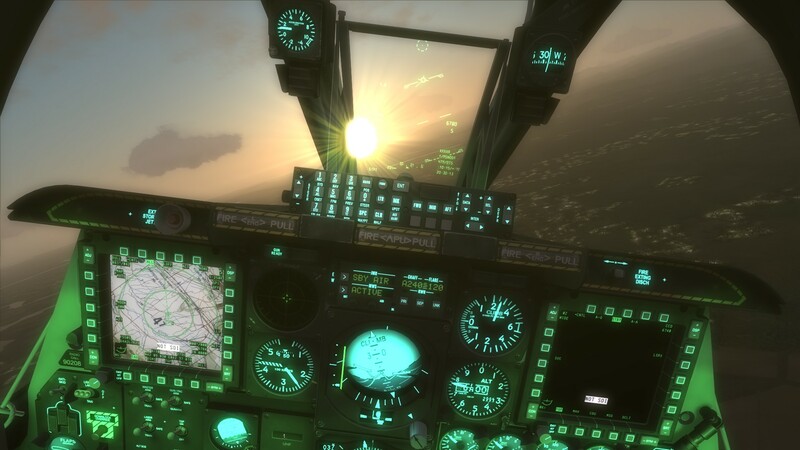 As far as combat sims go, there’s no contest – the long-running DCS series is the ultimate choice for anyone remotely interested in the genre. There’s enough detail in any one product to keep any sim fan busy for life, but each title is accessible enough for the fairly casual simmer to enjoy as well. Add to that the fact that a wide variety of DCS modules offer your choice of aircraft to learn, and this is one sim collection you won’t want to miss.